The ability to adapt to new circumstances, overcome challenges and stride out forging your own path in life, travel educates in a way that not even the most accomplished and engaging teacher can. One of the most popular opportunities for graduates seeking the chance to travel is a twelve month Australian Working Holiday Visa. Available to residents of over twenty five countries this visa provides the chance to live and work abroad, explore one of the most diverse continents on the planet and take a class in life that forces you to leap outside your comfort zone. One year sounds like ample time to explore one country. However thanks to the sheer scale of the Australian continent and the wealth of landscapes to explore, twelve months will fly past in the blink of an eye when you’re Down Under. If you’re considering taking the opportunity to sample life in Australia then I highly recommend you take the time to consider exactly what you hope to get out of your stay. Do you intend to base yourself in one place and seek employment in the field in which you studied while at University? Fly by the seat of your pants and take cash in hand work as you travel across all six states? Perhaps there are certain parts of the country you’re desperate to see and so want to plan an epic road trip? Whatever you want to do while you’re Down Under here are a few suggestions to help you make the most of your twelve month stay. A working holiday visa is not something every country offers foreign nationals visiting its shores, so consider making the most of the chance to gain employment abroad. If you’re considering immigrating to Australia making connections within the industry you intend to work is invaluable. A few months prior to your arrival research employers in your sector and reach out to them with your CV detailing your skills and qualifications, and inspiring them to hire you during your stay. Check online job listings regularly and apply before you arrive. Don’t limit yourself to one location, search countrywide for the greatest chance of success. Note that under the terms of the visa you are only eligible to work for any one employer for a maximum of six months. If you’ve managed to save a few dollars prior to your arrival in Australia then a road trip of epic proportions is one way to maximize your time on the red continent. While the adventure itself will offer an education of unimaginable significance, the experience will help to shape the person you are as you stride out into the big bad world. 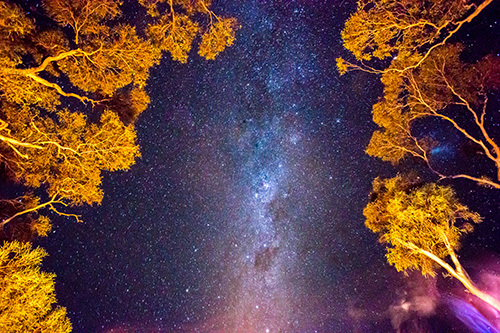 Take to the highway and immerse yourself in the heritage of Victoria’s Great Ocean Road, head Ouback and explore the barren red center, explore shipwrecks off the Queensland coast and swim with Dolphins in Western Australia. 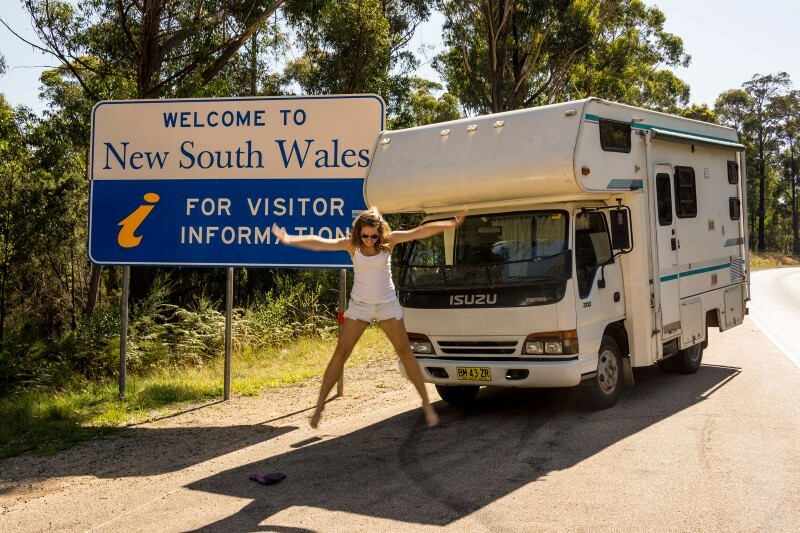 Consult the Vagablogging guides to buying a campervan in Australia and selling a vehicle at the end of your stay to ensure you invest wisely, have a hassle free trip and potentially earn a small profit when your adventure is over. Don’t forget you could also earn a few bucks towards your fuel costs by providing a cost effective transport service to other travelers heading the same way as you! The concept of house sitting is fast becoming recognized as a tool that can subsidize the cost of accommodation when travelling. In short it offers house and pet owners a low cost option for property and pet care, while providing rent free accommodation for travelers. If you want to see numerous parts of Australia but don’t have the desire to be on the move for your entire stay, then house and pet sitting is something you should consider. With the chance to live like a local on a reduced daily budget, a house sitting assignment could provide respite from periods of travel and employment. It’s important to note that some assignments are unsuitable for sitters who are not financially self-sufficient for the duration of their stay, so if you intend to seek employment while house sitting you must mention this in your application. Consider also the logistics of travelling to and from assignments, as well as your transport needs during your stay. 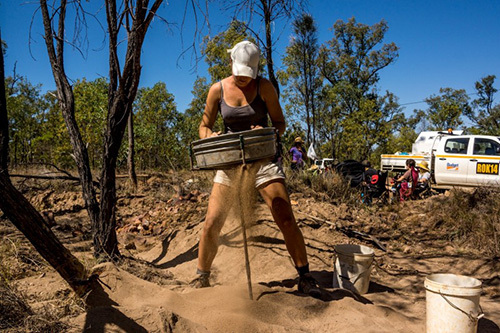 Volunteering is something many associate with charity work but there are a range of volunteer options for those who visit Australia on a working holiday visa. Those travelling on a reduced budget should consider the benefits of an exchange arrangement whereby you donate your time in exchange for room and board. Australia is well known for its seasonal work and backpackers are often recruited to pick fruit, tend to livestock and assist on rural properties. HelpX is an online listing of host organic farms, non-organic farms, farm stays, homestays, ranches, lodges, B&Bs, backpackers hostels and even sailing boats willing to offer backpackers free lodging in exchange for their help. Have you spent twelve months or more in Australia? How would you recommend those on a Working Holiday Visa maximize their stay in the country?